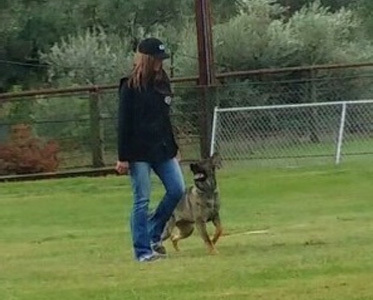 At Sierra Canine, we offer a wide variety of training programs. All of our dog training programs, from aggression rehabilitation and obedience training to all levels of personal protection are tailored or customized to our client’s individual needs and the goals that they have for their dogs. During your consultation, your dog’s temperament will be evaluated and we will discuss what your goals for training are and what behaviors you would like to correct. Other topics covered are our training philosophy, how the programs are structured and what your time commitment is. Housebreaking your dog can take months and in some cases certain dogs are never completely housebroken if not on a consistent, practical schedule. Cleaning up feces or urine in the same spot after your dog has had another “mistake” is no fun! Let Sierra Canine set you and your dog up on a practical schedule and educate you on the do’s and don’ts of housebreaking. In most cases, we can have your dog “mistake” free in a couple of weeks. Your dog is either housebroken or not. There is no such thing as an almost housebroken dog! If your dog relieves him or herself in your home even once or twice a week, they are not housebroken. Over the years Sierra Canine has housebroken dogs as old as three or four years! Some of the more difficult breeds that we have successfully housebroken include, Yorkshire Terriers, Chihuahuas and Dachshunds. Housebreaking programs are included with puppy obedience programs or can be purchased separately if this is your only objective. View our most frequently asked questions. Proudly providing dog training services to Butte County, California and the following surrounding communities; Biggs, Butte City, Capay, Chico, Cherokee, Corning, Durham, Gridley, Hamilton City, Live Oak, Orland, Oroville, Palermo, Paradise, Red Bluff, Redding and Tehama. If you are unsure, please inquire! Copyright © 2019 Sierra Canine. All rights reserved.